Serena Williams, drug tested more than other top players this year, cites "discrimination"
Serena Williams spoke out on social media Tuesday night about the frequency with which she is selected for anti-doping tests. 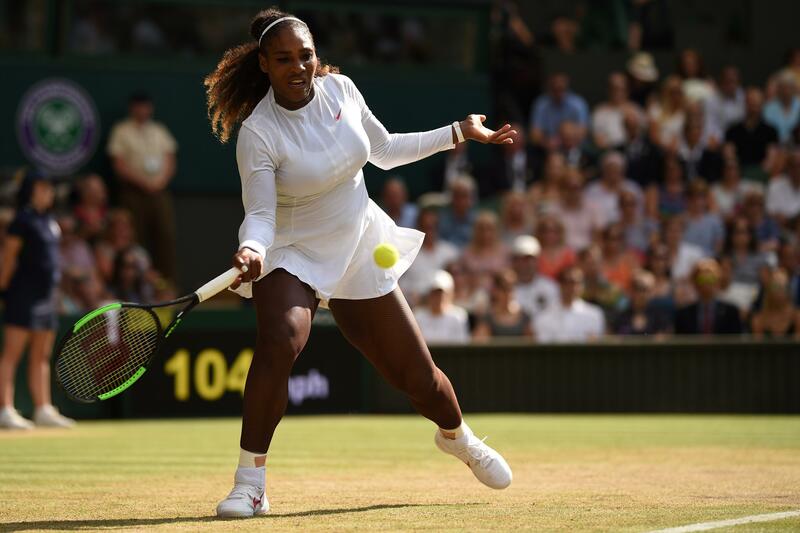 The 23-time Grand Slam champion had already been tested five times this year -- much more than any other top American women's tennis player, according to figures provided by the U.S. Anti-Doping Agency database. "And it's that time of the day to get 'randomly' drug tested and only test Serena," Williams tweeted Tuesday night after she received another visit from a tester. "Out of all the players it's been proven I'm the one getting tested the most. Discrimination? I think so. At least I'll be keeping the sport clean." "But I'm ready to do whatever it takes to have a clean sport so bring it on," she said in a second tweet. "I'm excited." Deadspin reported that the five times Williams had been tested before her Tuesday tweets didn't include another attempt in June, when a doping control officer went to Williams' home while she wasn't there. Deadspin, citing sources familiar with the situation, reported that "a standoff" ensued after the officer refused to leave until Williams was tested, and that the test was never administered. Danielle Collins: "No results found"
Taylor Townsend: "No results found"
Those figures include "all in- and out-of-competition test sessions on U.S. athletes conducted under USADA's Olympic, Paralympic, Pan American, and Parapan American movements testing program," according to the agency. The Associated Press reports that as part of USADA's "intelligent" out-of-competition testing program, it is not unusual for top athletes -- those who have had sustained success in their sport -- to be tested more often than others. She has complained before about being drug-tested more than other American tennis players this year.